Fancy date nights aren’t just for young couples trying to impress each other—not when you live in Falls Church. 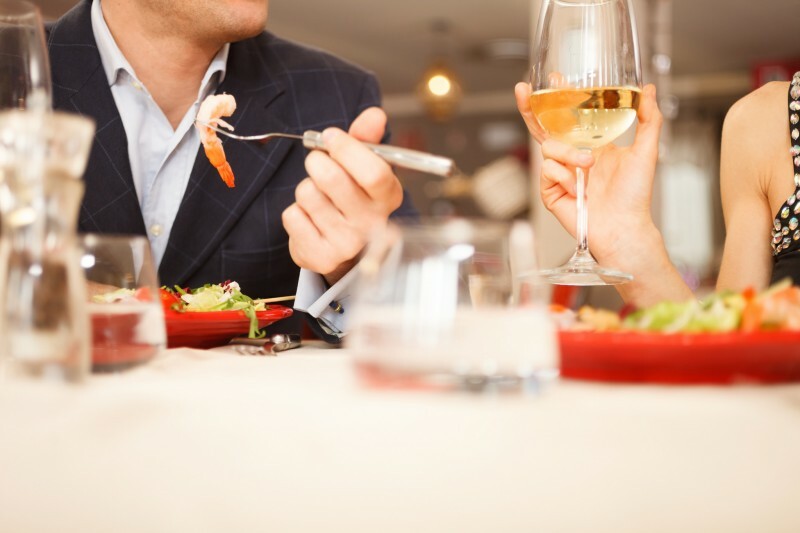 It’s time to take some time off and enjoy the best date night restaurants in Falls Church, VA with your significant other. Whatever your taste, there’s a top-notch restaurant close to your luxury apartment in Falls Church. These spots have everything you need for a great night out: romantic ambiance, astounding menus, and high-quality cocktails and drinks. All you have to do is dress up and show up. What 2941 loses in name originality it gains in fans. It’s been named the “Best Wedding Reception Venue,” ranked #3 on Northern Virginia Mag’s “50 Best Restaurants,” and has been mentioned in the Washingtonian Mag’s “100 Very Best Restaurants.” And that’s just the tip of 2941’s appeal. It’s the combination of lush landscaping including a lakeside view, waterfalls, and koi ponds with outstanding food that sets this Falls Church Restaurant apart. If you’re seeking a mind-blowingly romantic restaurant to transport you and your honey to food heaven, this is your spot. Argia’s is the kind of place that makes you want to start planning an impromptu (and rash) trip to Italy. It’s so warm, friendly, and boisterous–sort of how we all wish our families were at holidays. You can dine there alone and enjoy yourself, but if you have a significant other, this is a fantastic spot for two. Somewhere between the fresh arugula, watermelon, and kalamata salad and Frittata Di Carleen, you’ll realize you have no idea what time it is. And that’s perfectly OK. If you want to make food with your significant other minus the huge mess and destroyed kitchen–Open Kitchen is a great place to start. Get a 3-4 hour session with a pro chef, who provides a recipe packet, instructions, and follow up tips so you can potentially do this at home. Oh, and of course, you’ll have time to eat your creation (for better or for worse, right?). Check out their events calendar for cooking class series coming up. Wear something classy–and if possible, something with room to grow. Because you will, as you down fresh crab dip, fried oysters, rich cauliflower soup, scallops atop risotto, and medium-rare steak. This is the kind of place where you might forget you’re on a date as soon as you look at your plate. You’ve been warned. What are you waiting for? Pick up your phone or get on Yelp and set up a reservation if you can. After all, restaurants like these fill up quickly on Friday nights. Better yet, move into the neighborhood so you have a more strategic way to get in. Move into an incredible luxury apartment in Falls Church, and enjoy the best of everything in NoVa!